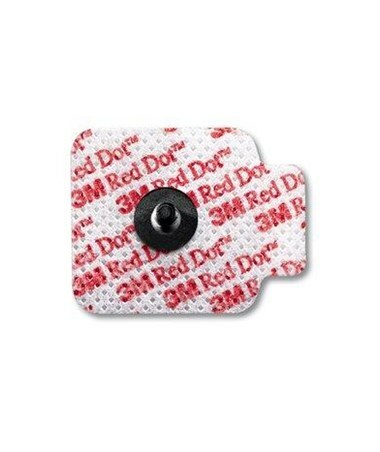 3M Healthcare offers a full line of quality monitoring and defibrillation products. TheirRed Dot repositionablemonitoring electrodesare recommended for long- and short-term wear for diagnostic tests - such as Holter tests, echocardiographs, telemetry and event recording - due to their long-lasting comfortable wear time of up to three days. They are useful in many hospital and emergency departments, including cardiac rehab, cath lab, EMS/ER, ICU/CCU, and OR. The electrodes measure1.56" x 1.25" and are constructed of soft, comfortable cloth for ultimate patient cooperation. 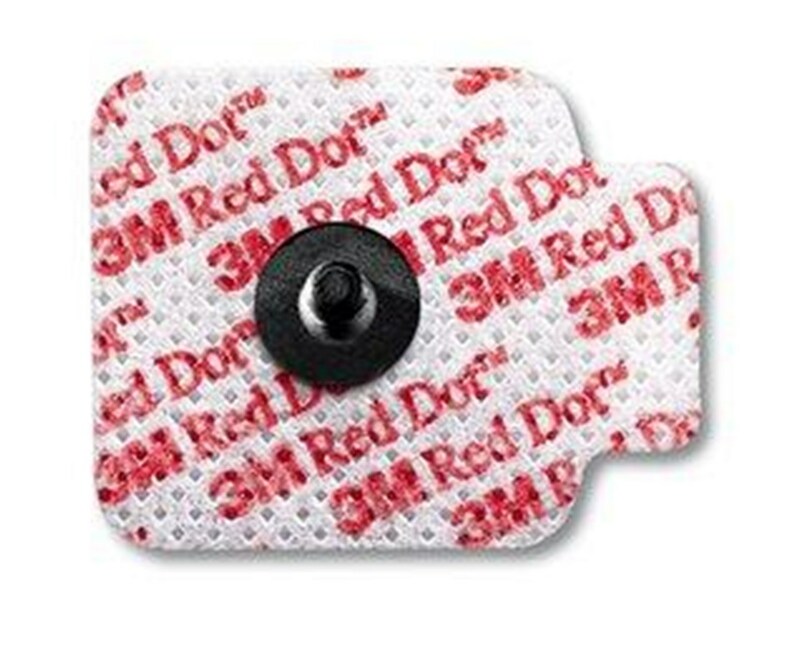 Their revolutionary conductive adhesive provides many additional benefits such as true repositioning capabilities, which cut down on cost by repositioning rather than replacing electrodes, reduced need for skin preparation, and high conformability for comfortable and secure adhesion. The electrodes are radiolucent, making them undetectable on x-rays and acceptable for use in radiology. The electrodes are available in two models: the 2660 electrodes and the 2670 electrodes. Both electrode types are virtually the same, except the 2670 features a stronger, more aggressive adhesive than the 2660. Choose your model from the drop-down menu in the upper right corner of this page. Each order consists of an economical case of electrodes. One may choose from a case containing 600 electrodes (3 electrodes per bag, 200 bags per case) or a case of 1,000 electrodes (5 electrodes per bag, 200 bags per case). The electrodes boast a 30-day open bag freshness guarantee, making them convenient even in facilities with infrequent use. Choose your quantity from thedrop-down menuin the upper right corner of this page.